He blamed a grieving father for the fatal effects of his own immigration policy. Last December, a seven-year-old girl named Jakelin Caal died in Border Patrol custody. Speaking from his luxury resort in Florida, Trump told reporters that Caal's father, who was traveling with her when they were detained, had taken responsibility for her death: "One of the children, the father, gave the child no water for a long period of time — he actually admitted blame," Trump said. This is a lie. Nery Caal, Jakelin's father, has never said any such thing. Instead, Nery has repeatedly said that he and Jakelin were denied water during their eight-hour stay in a detention facility, even though it was during this time that CPB agents noted that she was very sick. Instead of being offered treatment, the father and daughter were then put on a bus to another facility 90 minutes away. Jakelin's condition worsened en route, with her temperature rising to 105.9 degrees, and she died of septic shock several days later. Bacterial infections of this kind can progress to fatal stages within hours, but are treatable with antibiotics when medical attention is given promptly. Trump's "zero tolerance" policy for people crossing the border to seek asylum—a right guaranteed under American law regardless of where or how such a crossing takes place—meant that the Caals and other families have been detained in facilities not designed for children. 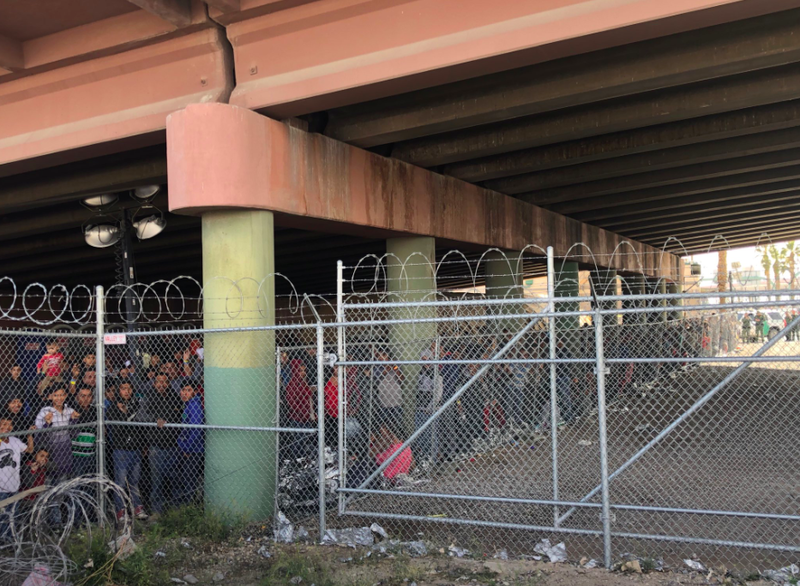 It's not clear if Trump somehow thought Nery Caal had actually said this, or if he was trying to deflect attention from the latest such "facility" where the Trump administration has been detaining children: a highway underpass in Texas fenced in with razor wire. All lying is bad, but lying to blame a grieving father for the death of his child is monstrous. Presidents who can't accept responsibility for the consequences of their actions aren't fit for office.